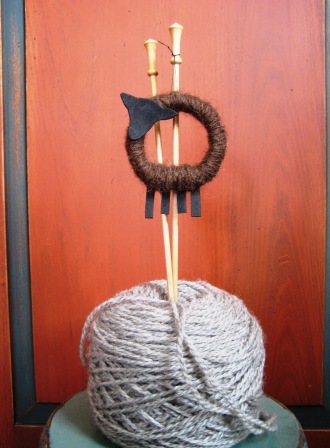 Here’s a wooly simple, kid-friendly [two-legged variety], stash-buster FUN project for the weekend! 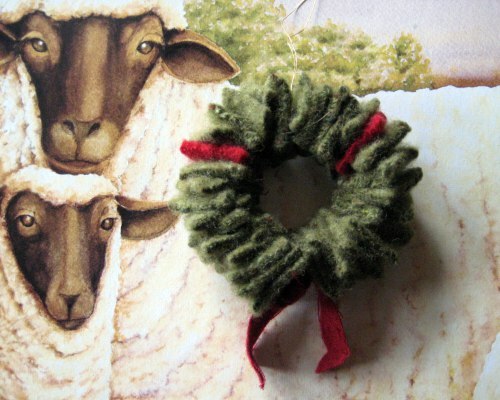 It’s a little sheepy ornie; package tie-on, mini wreath… to embellish a holiday tree, use as a hang-tag on a gift for a special fiber friend or knitter, 4-H craft fund-raising project… you get the idea! 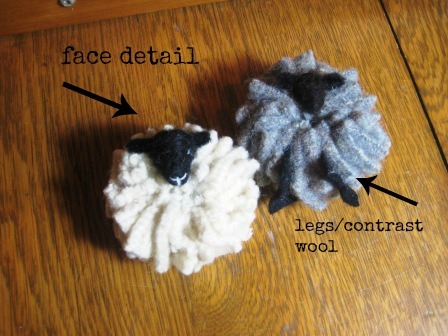 All you need is left-over yarn, handspun, roving, fleece or whatever you have in your fiber stash. 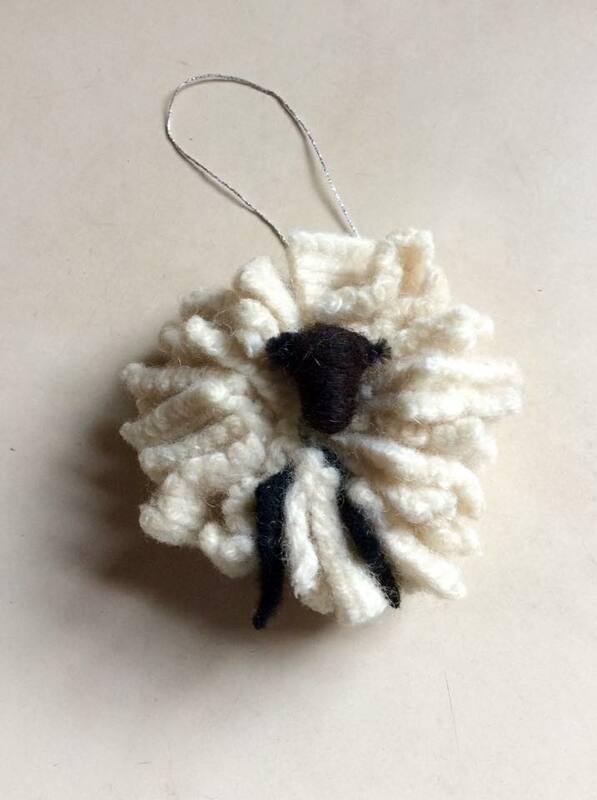 Use natural colored yarn or punch it up and go funky with various bright-colored, self-striping and glam novelty yarns [how about to decorate an Easter tree?]. 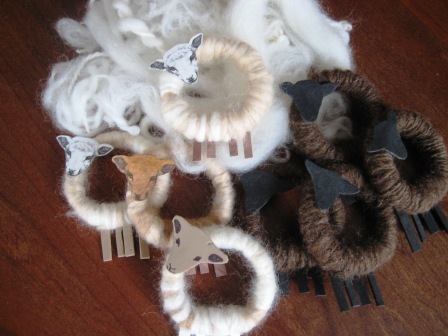 To begin, use any round circular base/styrofoam form/corrugated cardboard to wrap the yarn around and around until you no longer ‘see’ the form you’re using. 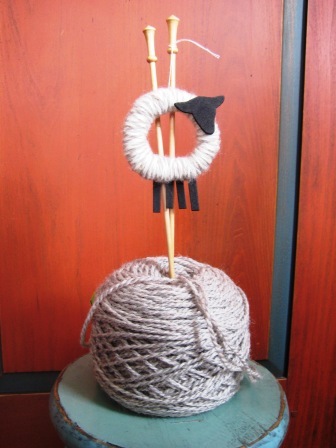 For the legs, cut out two pairs of [U-shaped] legs from heavy card stock, foam, scrapbook paper, etc and catch it/secure it in the back as you wrap the yarn around the form. 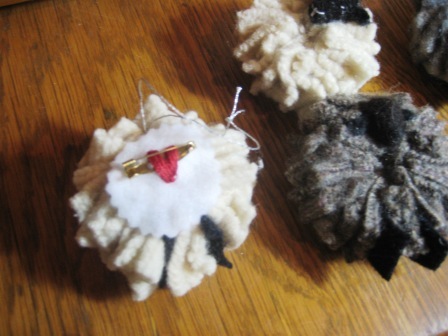 When your form is adequately covered [and legs attached], cut the yarn. 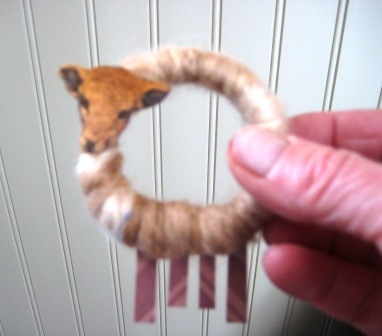 No need to sew, using a yarn needle, simply bury the end into the wrapped/coiled yarn. 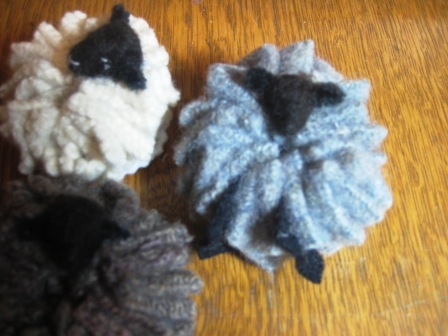 Never enough sheep!! Have a great weekend!